......Alex uses the B.I. Essentials tool to see the reserve status of the parts, and he can see that the brake caliper body part is reserved by Justin. this means that only Justin can save changes to this part back to the platform. Alex adds fixing holes and screws to the design. He has added the necessary holes to the caliper part as well but cannot save these changes to the platform. This is where the Design Share Collaboration Tool comes in. Using the built-in 3DMessaging console, Alex can communicate with Justin in real-time. In a Co-Review session, the model can be manipulated and reviewed in real-time on both screens. 3D Snapshots of screens are taken and shared to view superimposed on models loaded in the session. Watch the video to see the ground-breaking real-time design collaboration tools provided by Dassault Systemes' 3DEXPERIENCE Platform. The 3DEXPERIENCE platform is a Business Experience Platform that provides software solutions for every organisation in your company - from marketing to sales to engineering – that help you to create differentiating consumer experiences. With a single, easy-to-use interface, it powers Industry solution experiences, based on 3D design, analysis, simulation and intelligence software in a collaborative interactive environment. It is available on-premise and in public or private cloud. 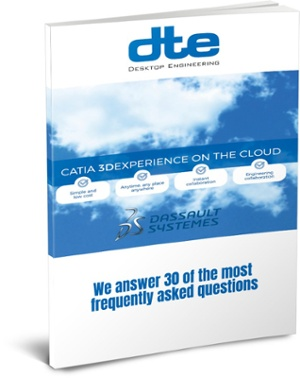 Read more on Dassault Systemes' 3DEXPERIENCE Platform or download the Frequently Asked Questions eBook.